A few months ago we were lucky enough to see Disney On Ice. As soon as the show started we were all mesmerised and I knew then that we would have to see another show soon. 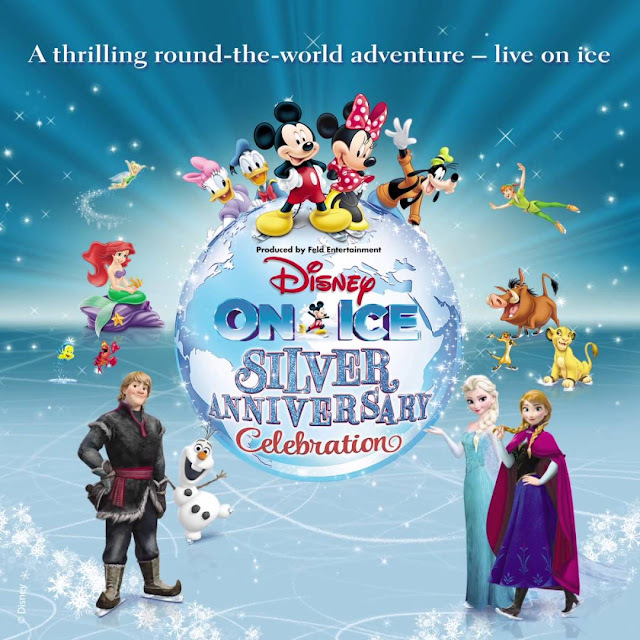 I am so excited to reveal that Disney On Ice Silver Anniversary is touring next year and its making a stop in Liverpool. For our recent trip to Paris we were offered the chance to stay over at Holiday Inn Express - Manchester Airport before our early morning flight, thanks to Holiday Extras. Do you need to buy a nice Christmas drink for friends or family this Christmas? 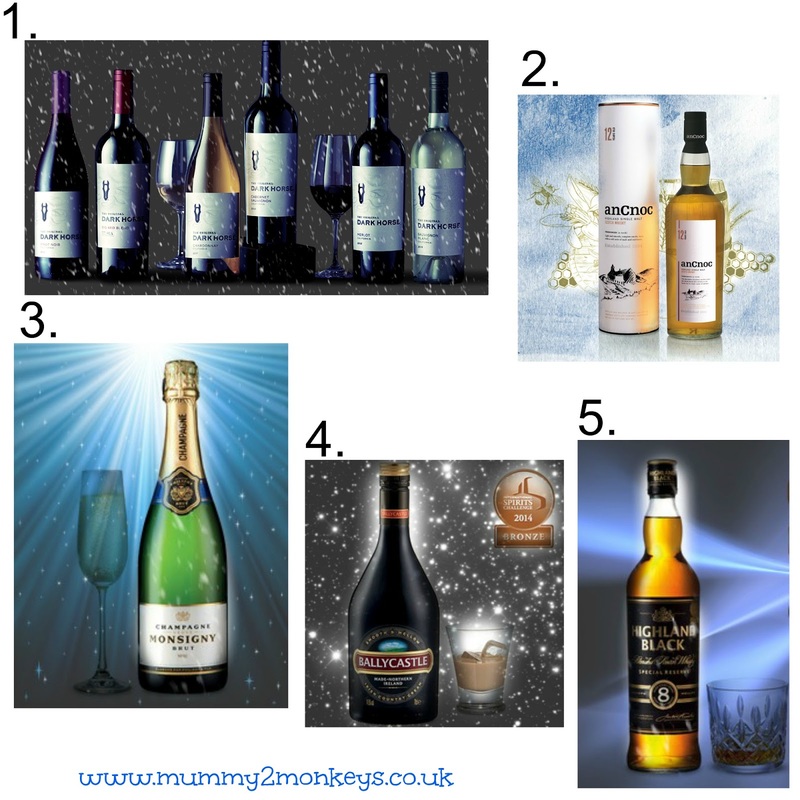 Check out our top 5 recommendations for a festive tipple. 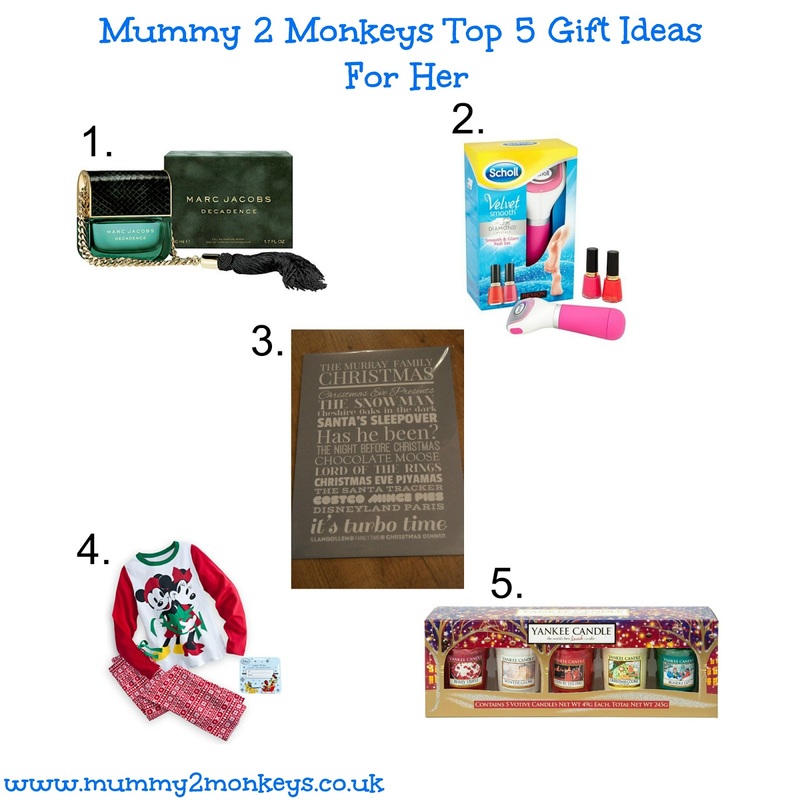 If you are stumped for a Christmas present idea this year for the lady in your life, check out our top 5 ideas. 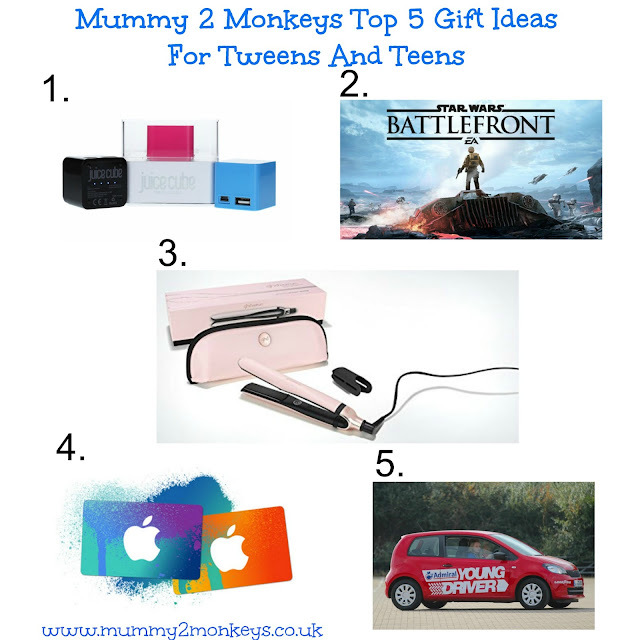 I find this is the hardest age to buy for but after some research I have the top 5 gifts to but a Tween or Teen this Christmas. 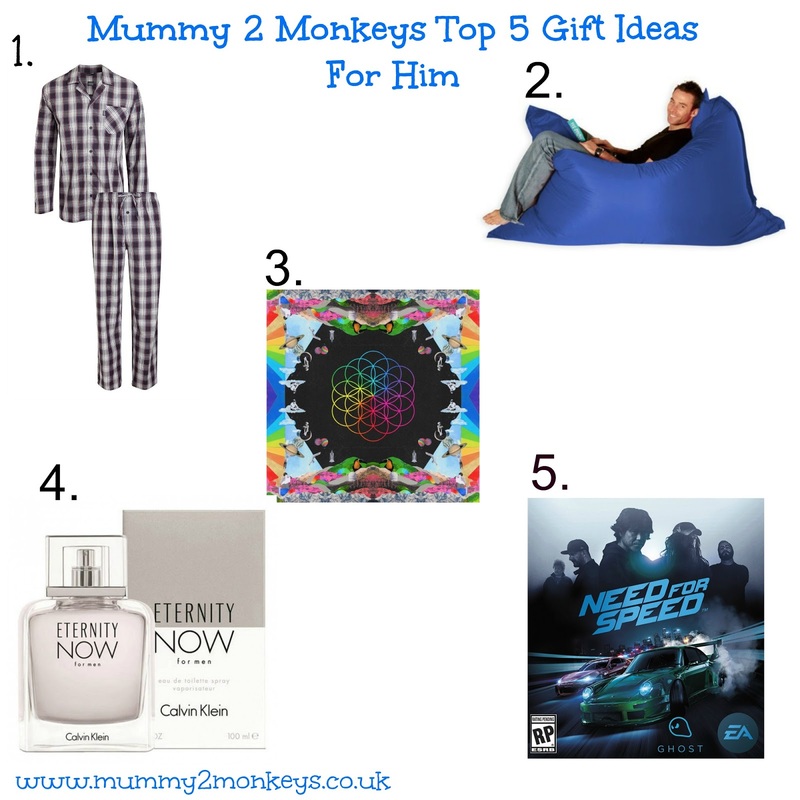 If you need to buy for child aged 5-9 this Christmas check out our top 5 gifts for School Aged children. When I first browsed through EllieBeanPrints website I got so excited. I love personalised gifts and when I saw the huge collection of personalised prints I wanted them all. Each personalised print is unique and custom made just for you. I instantly went to the Christmas section as it's my favourite time of year and I found the Family Christmas Print. October has been and gone and it will soon be Christmas. Little J has had a lovely October, here are a few of his highlights. Every year we start getting in to the Christmas spirit earlier and earlier. We have a HUGE list of Christmas films to watch and we have a Christmas CD we play in the car. We usually start around 25th November but this year we have already started when we recently watched Thomas and Friends - The Christmas Engines DVD. The summer holidays have now come to an end. Trying to keep the kids entertained for six weeks can be challenging but we found some days out that were not too expensive but we had lots of fun. 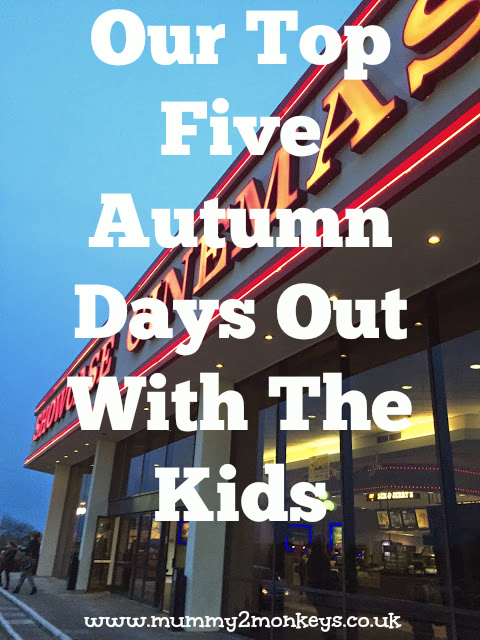 For some help in finding a day out you can always visit my Family Days Out page or I have listed a few of our Autumn Days Out With The Kids. Going to the cinema can be very expensive when you have more than one child to take. Big J sometimes goes with his friends now and we don't get much change from £20 after he has paid for his ticket, drink and snack. Little J is a little too young for the cinema but when he is old enough we will take advantage of the Last Chance or Kids Screening as these are a lot cheaper than a normal ticket. Showcase Cinemas offer Last Chance and Odeon Kids Club is just £2.50 and you can see films every Saturday or Sunday morning and every day during school holidays. Perfect for a wet day. We recently took little J the farm and he really enjoyed it. It cost £2.50 per adult and £1.50 per child to enter. There was an option to feed the goats or chickens by buying a bag of food at 50p each. We chose Goat food as they are so funny and always hungry. Little J thought it was hilarious when they were eating the food out of our hands. There was a woodland walk which was a little muddy but as long as you have suitable clothing for the kids such as children's waterproof over trousers, wellies and a rain jacket they can have lots of muddy fun. We finished off the morning with lunch in the cafe. This made the visit more expensive as it was approx £4 per person for a sandwich and drink. There were plenty of people eating picnics outside on the grass and picnic benches so if you want to cut the cost take a packed lunch. We love going to the park and could happily spend a day there. There is so much to do in our local parks but we usually start by visiting the play area as little J spots it straight away and shouts 'slide'. Our park has two seperate play areas one for toddlers and an older kids area. Little J is quite happy to play on both. He usually goes on the bigger play area with big J who helps him up stairs and beams to walk across. Once we have spent some time in the play area we usually go for a walk. Most parks have a nice walk where you can maybe visit a flower garden or see the horses in the field. Make sure you have proper footwear on such as wellies if it's wet or pop the kids boots on if its cold, they will keep their little toes toasty warm. Big J likes to go exploring and climb trees too so we usually head to the woods too for some exploration. Our park has a huge lake in so if you have any bread you can feed the ducks or birds. We always take a ball with us wherever we go as all three boys love playing football. I usually just sit and watch. This type of day rarely costs any money unless you eat in the cafe. We tend to just take a picnic and maybe buy an ice-cream from the ice-cream van. All kids love visiting the beach and if you choose the right one you can have a really good time. We have a few within driving reach and its perfect for a lovely Autumn walk. Take along a bucket and spade and you can have so much fun, even if its cold and windy. We have some water shoes and flip flops always with us in the car just in case we decide to visit a beach. We then have a little paddle in the sea and have a look for crabs and starfish. Another day out for a wet day is visiting your local swimming pool. Sometimes on weekends or school holidays our local pool bring out lots of inflatables and the slide is usually open too. We have a lifestyles pool which is free for big and little J. Daddy usually takes them on a Saturday morning and it is reasonably quiet. They start in the little pool and then they all go in the big pool for a play and swim. Do you have a favourite day out? During half term I was supposed to start potty training little J. He does have a potty and he has used it but I know that I need to be more consistent with him and just take the plunge and get him trained. 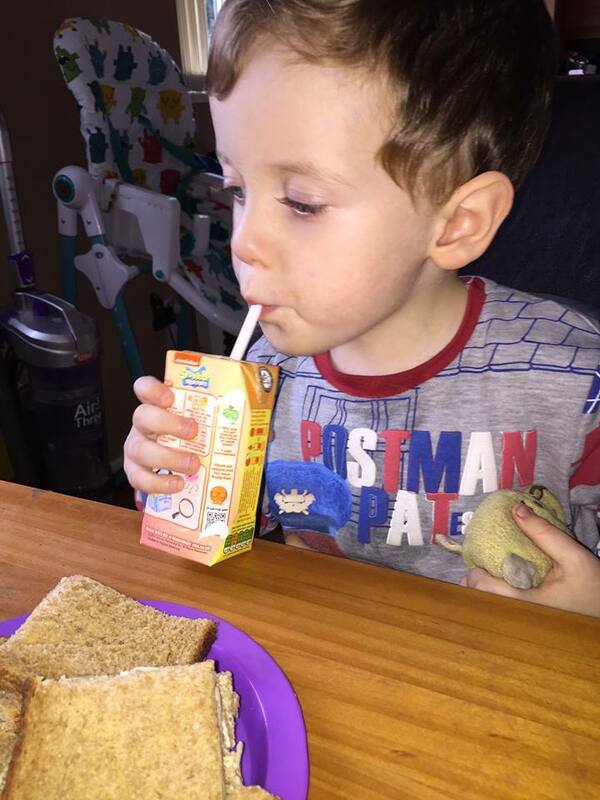 Last week however he was very poorly so it wasn't the right time to do it. He is recovering slowly now so once he is back to full health I will begin and I have a lovely WOW Toys Magnetic Reward Chart to encourage him to use the potty. The chart can be used for any reason so make sure you enter my WOW Toys Magnetic Reward Chart Giveaway below. I can't believe that in less than a month the countdown to Christmas will begin. It doesn't seem that long ago that I was lying in the sun now I'm wrapping up warm with my hat and scarf on. I love Christmas and I think this year little J will understand more about it and what it means. Being a WOW Toys Blogger Buddy I was so excited when little J received some new items to try out. The WOW Toys Town Advent Calendar looks absolutely amazing and we are so lucky to be able to review it but also have a WOW Toys Town Advent Calendar Giveaway too. The WOW Toys Town Advent Calendar is packed with 24 toys designed especially for the WOW Town Christmas Story. Santa had nearly finished delivering his presents when he discovered he was lost. Luckily Officer Roger WOW Town's Policeman agreed to lead Santa through WOW town so he could finish his very important job. They arrived first at Betty's bakery. Betty had just baked a lovely Christmas cake for Santa and thanking her, he left her a beautiful pink present. They made their way into the Town Centre where there stood a magnificent Christmas tree, covered in lights and decorations. Santa left Eddie the Builder a big yellow present for all the hard work he had done decorating the tree. To continue the story you will have to look inside the advent calendar and see if Santa finished delivering the presents to all the boys and girls. I can't wait to see little J's face as he opens this each day and build a little town to play with. The WOW Toys Town Advent Calendar is perfect for ages 1-5. If you would like the chance to win a WOW Toys Town Advent Calendar you can enter my giveaway below. Mummy2Monkeys will contact the lucky winners within 3 days of the competition closing. The winners must respond within 7 days. If no response a new winner will be chosen. I have to admit that I don't do much ironing, Daddy does the majority of it. It's not that I don't want to its just I am so slow so it's easier and quicker if Daddy does it. When I told Daddy we were receiving a JML Phoenix Gold Iron he was quite excited as our old iron has seen better days. It's that time of month again when our October Degustabox arrives and we get very excited to see what delicious surprises are inside. We have received many Degustabox surprise boxes over the last year and a half and we have never been disappointed. Even when there are some items inside that I am not to keen on there is always someone who is likes it. Lorina - Coconut and Lime. Daddy drank this and he had mixed feelings about it. On his first taste he said it tasted like cream soda but then he said it tasted like sun cream. He continued to drink it but said the combination was quite strange. He would like to try the other flavours though. 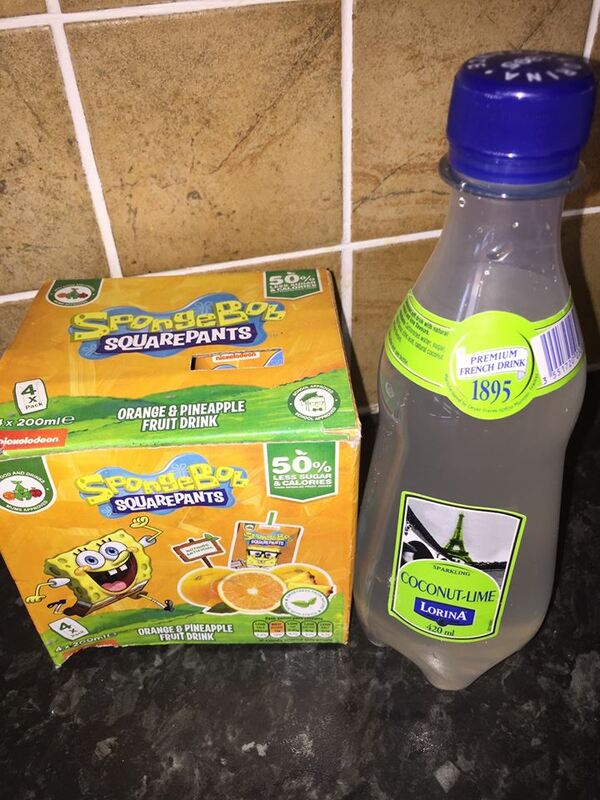 Appy Drinks - Spongebob Drinks. 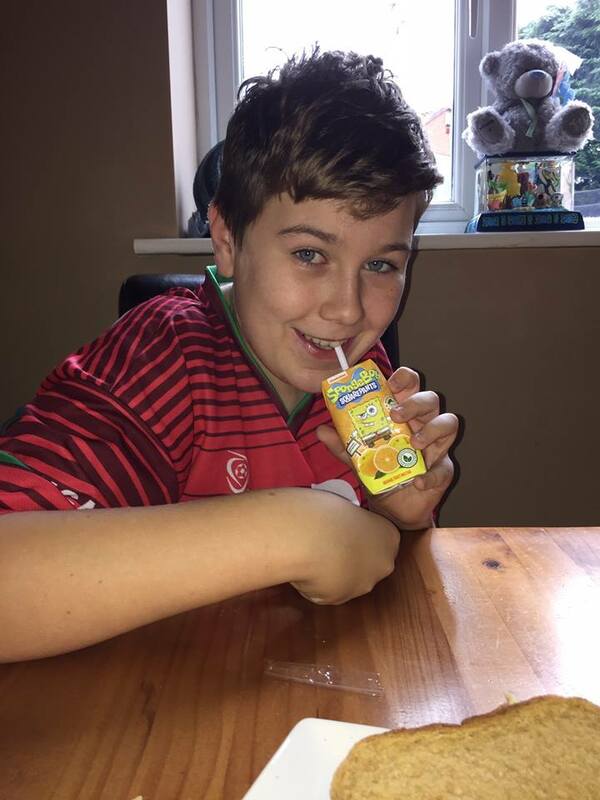 These went down well with both big and little J. I was really impressed that they contain 50% less sugar and calories than regular fruit juices. 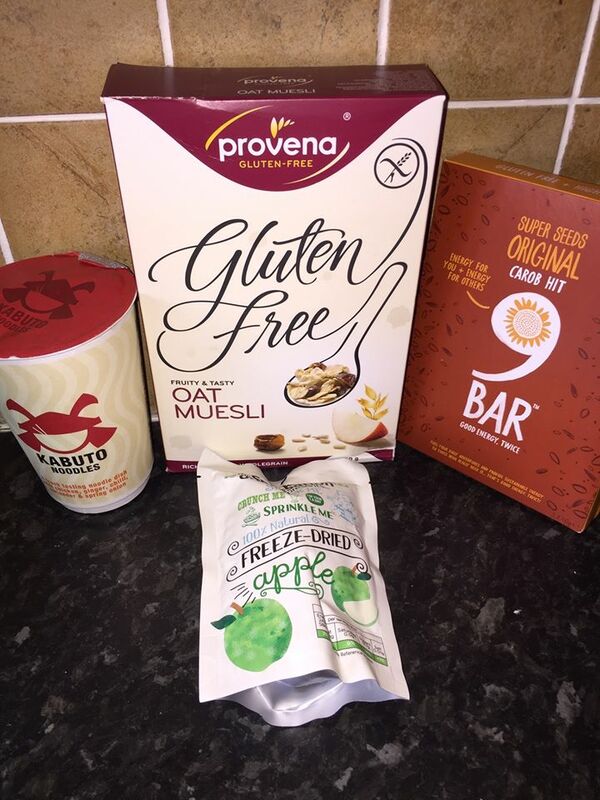 Provena - Gluten free oat muesli. 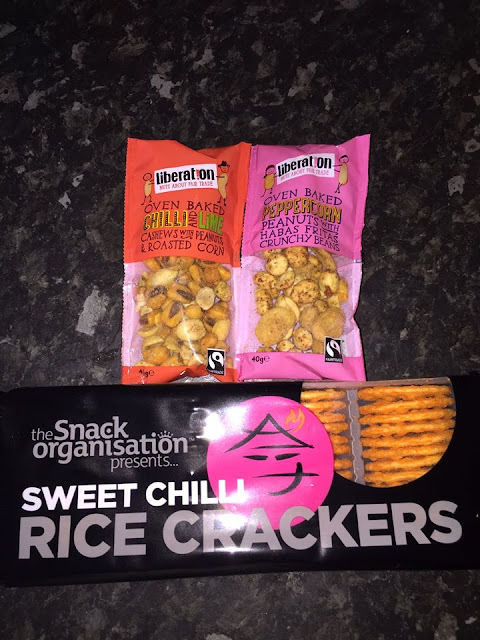 We haven't tried the muesli or freeze dried apple yet but the 9bar and noodles were delicious. We have had both of them before. 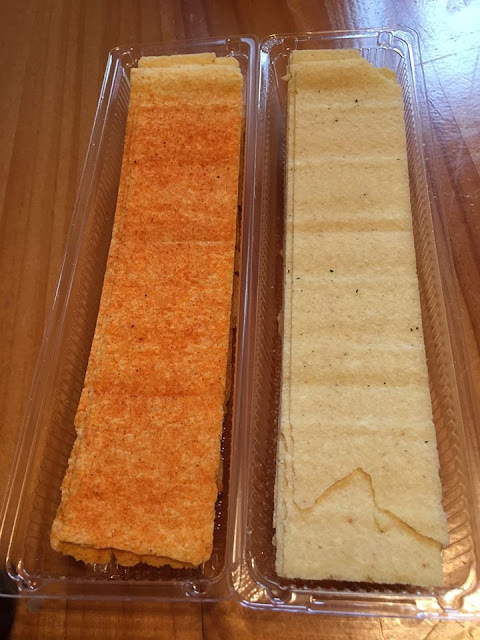 We haven't tried the nuts yet but the rice crackers are delicious and low in kcals too. 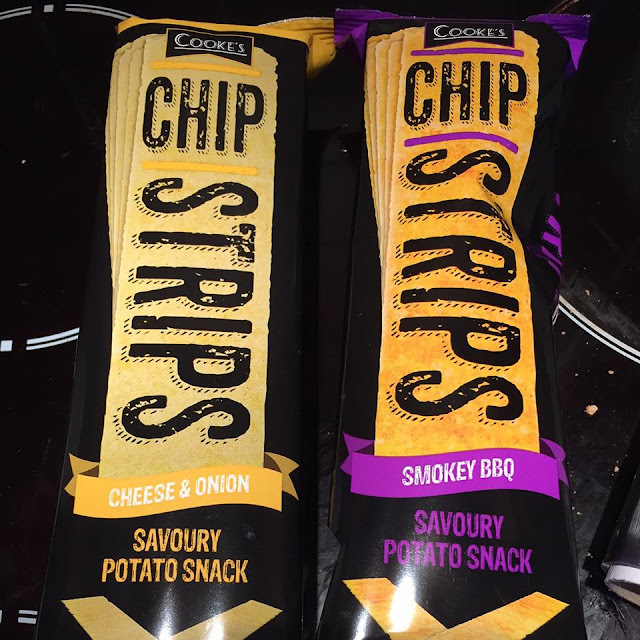 Chip Strips - Smoky BBQ and Cheese & Onion. These were absolutely delicious and we all tried them including little J. The cheese and onion were tasty but the smoky BBQ were our favourite. They did remind us of Texas BBQ Pringles. 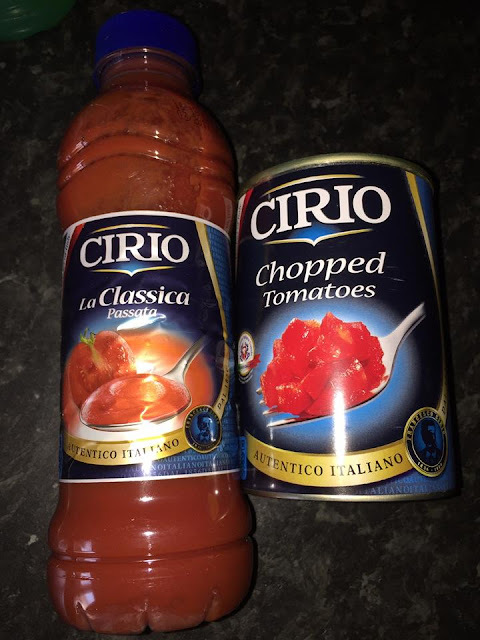 Cirio - We are fans of Cirio anyway so we enjoyed using the passsata and chopped tomatoes. Although this wasn't one of my favourite boxes I still love Degustabox and its nice to have a surprise each month. I Can't Do That Now, I Am A Mummy. The other day on the way to work I was listening to the radio. It was one of those 'guess the top answer in a survey' and people were ringing up trying to guess. The question was ' What is the one thing you can't do now because you are a Mummy?' I stopped and thought for a moment and my mind went blank. I couldn't think of anything that wasn't obvious as I knew it would probably be something you wouldn't expect people to say. I was listening to the callers saying things like 'go out clubbing till 4am' or 'sleeping in till noon'. When we received a selection of Savse Smoothies, I was looking forward to trying them. I was quite shocked when big J wanted to try them to. Normally he doesn't like anything like this but he was really keen to try. October has flew by, I can't believe it's November already. 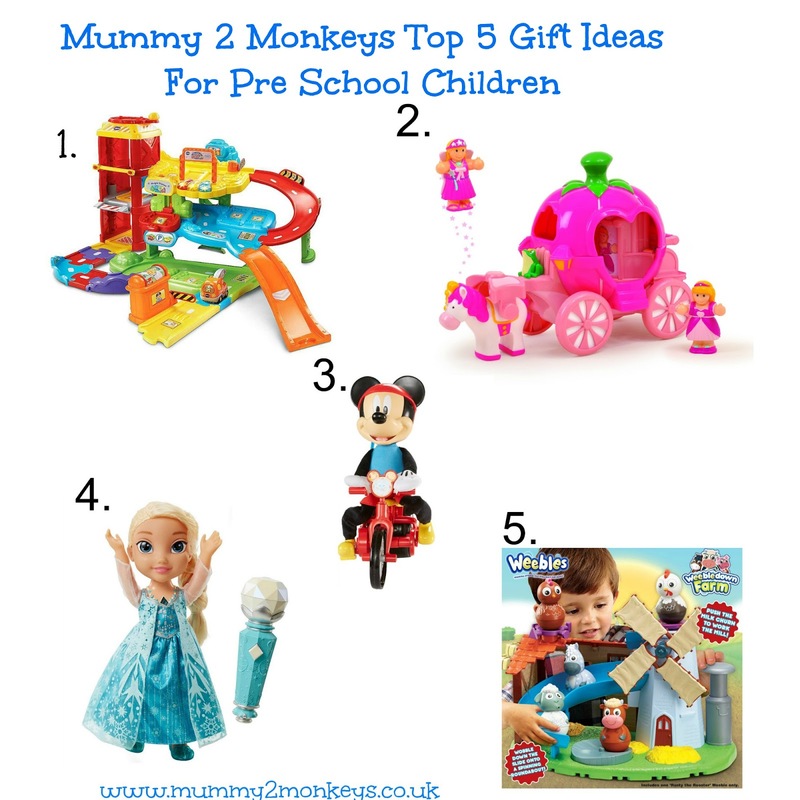 Have a look at what we have been trying out below in our October Review Round Up. We haven't heard of Zoflora before so was keen to give it a try. Zoflora Disinfectant is a fragrant antibacterial house cleaning product which can kill 99.9% of bacteria around the home. Zoflora is concentrated so doesnt take up much space when storing.